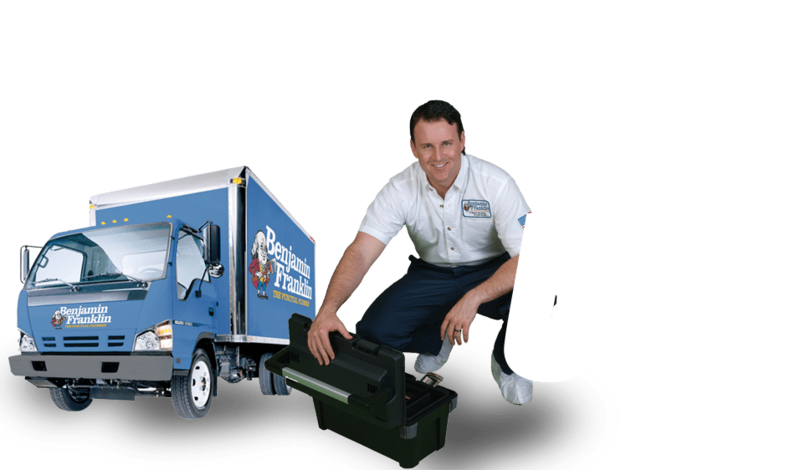 At Benjamin Franklin Plumbing, we know that plumbing issues tend to pop up at the most inconvenient of times. That’s why we pledge not to overcharge for our services when you find yourself in a jam. We go out of our way to keep our emergency plumbing rates reasonable, all the while providing you with the quality service you deserve. From broken toilets to leaks to water heater malfunctions, our team is equipped to address a variety of plumbing problems in a hurry. So the next time you encounter a plumbing issue, don’t delay: Call Benjamin Franklin Plumbing and take advantage of our emergency plumbing services. When you encounter a plumbing issue in the middle of the night, over a weekend, or during a holiday, your first inclination may be to panic. But thanks to Benjamin Franklin Plumbing’s emergency plumbing services, you can breathe easy when problems in your home or business arise. No matter the time or place, we’re on hand to offer plumbing repairs to residential and commercial customers throughout Chardon, OH.